Every year, Kanto’s skiers and snowboarders make the pilgrimage to one of Tochigi’s two “premier” ski resorts - Hunter Mountain and Mt. Jeans - by the tens of thousands. With how incredibly popular these resorts are, you’d imagine they were the bee’s knees of snowsports in Japan. However, in actuality, they are overpriced, overcrowded, ice-skating rinks, that more often than not have to rely on man-made snow just to get a decent cover. So why do so many people flock to these resorts? Well, they are literally the closest places to ski for those in the northern Kanto area, and two of the easiest to get to by car from Tokyo. 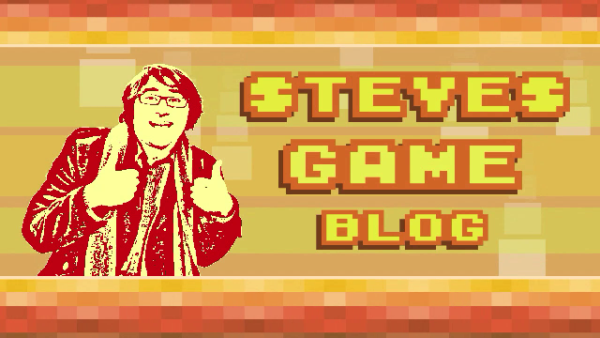 So, to all you people making the long trek from Tokyo to Tochigi, I have a message for you: Stop! You’ve come all that way, why not add just an extra hour to your journey, and go to one of Minamiaizu’s hidden snowsports paradises? Glorious snow awaits you in Minamiaizu. 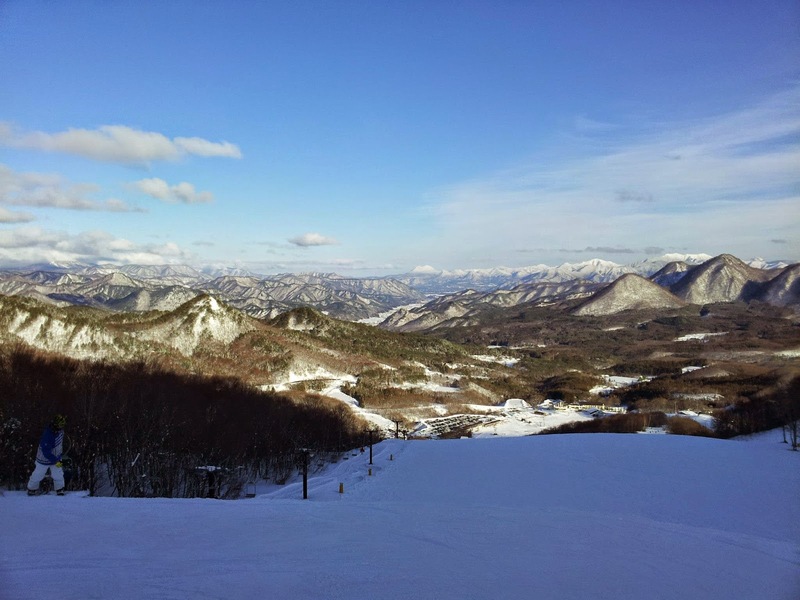 Located just an hour and a half drive from Nasushiobara station, the two “fringe” resorts of Fukushima’s Minamiaizu ski area - Takatsue and Daikura - offer everything that Hunter Mountain and Mt. Jeans don’t. Fresh powder. Cheap tickets. Glorious, varied terrain. Small crowds. While they are a little smaller than Tochigi’s resorts, and don’t have quite all the snazz of the big resorts (like gondolas or NFC lift tickets), these quaint hidden gems are well worth the longer trip. 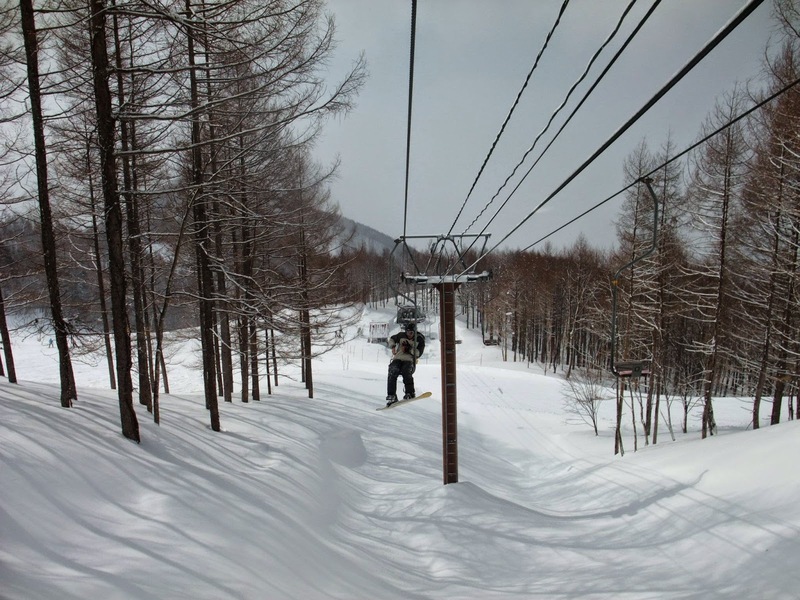 Takatsue has just eight lifts, but over a dozen different runs of varying difficulty, including some amazing tree runs under the lifts. It also has a full terrain park, complete with a massive, full-sized half-pipe. The snow is frequent and fluffy, and it’s a rare day that I don’t get to make some fresh tracks somewhere on the mountain. Everything except the uppermost lift is well shielded from the wind, so even in the worst of weather you’ll still have a great time. Best of all, if you don’t feel like braving the icy and snowy roads (or don’t have a car equipped to handle it), Takatsue actually offers a free “park and ride” shuttle bus service, from Nasushiobara’s “Nasu Garden Outlet”. There's always some fresh powder on Takatsue. If you’re just going for the one day, pick up the 4,500 yen lunch coupon ticket, which comes with a 1,000 yen lunch voucher. However, if you think you’ll be coming back at least two more times, be sure to sign up for Takatsue’s “Snow Powder Club”, which offers you a discount on lift tickets for each consecutive visit - bringing the cost of a ticket down to just 2,500 yen after your third visit. A full ski set/snowboard set hire will set you back 3,000 yen and 4,000 yen respectively, but you can get a 500 yen discount with the Snow Powder Club card. 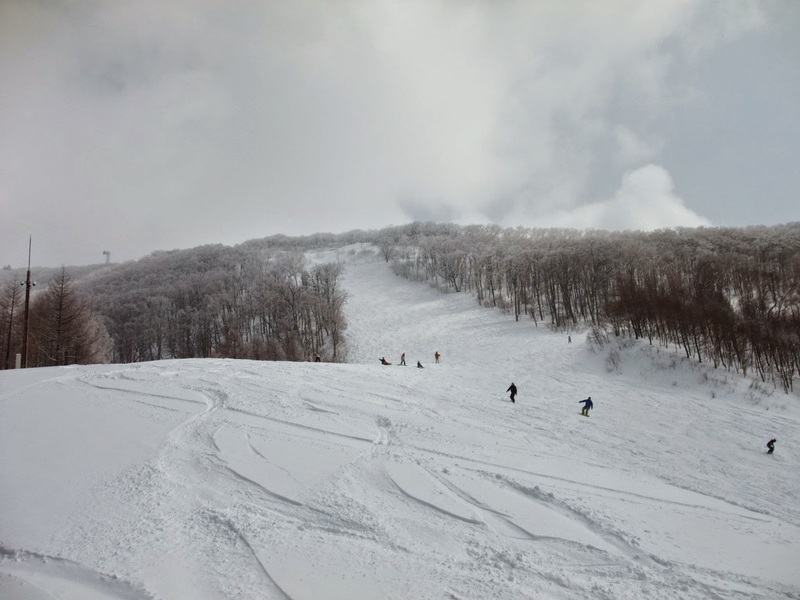 Daikura, on the other hand, is even smaller than Takatsue, with just five lifts and 11 runs. However, it is one of the cheapest ski resorts in the area, at just 3,900 yen for the same kind of discount lunch ticket that Takatsue offers. It’s also ever-so-slightly closer: about an hour and 20 minutes from Nasushiobara station. Advanced skiers and snowboarders won’t find too much to do here, with only three, relatively short black runs, and no real tree runs to speak of, but beginners and intermediates should have a blast experiencing the same kind of famous Japanese powder snow that all its big resorts are known for around the world. Ski and snowboard hire will set you back 3,000/3,800 yen respectively for a set. The views from Daikura's summit are just astonishing. Both of these resorts are perfect for a day trip, but if you’d like to stay longer, both Daikura and Takatsue offer on-site lodgings. Alternatively, you could also find a place to stay in the nearby onsen resort town of Shiobara, or around the Nasushiobara station area. 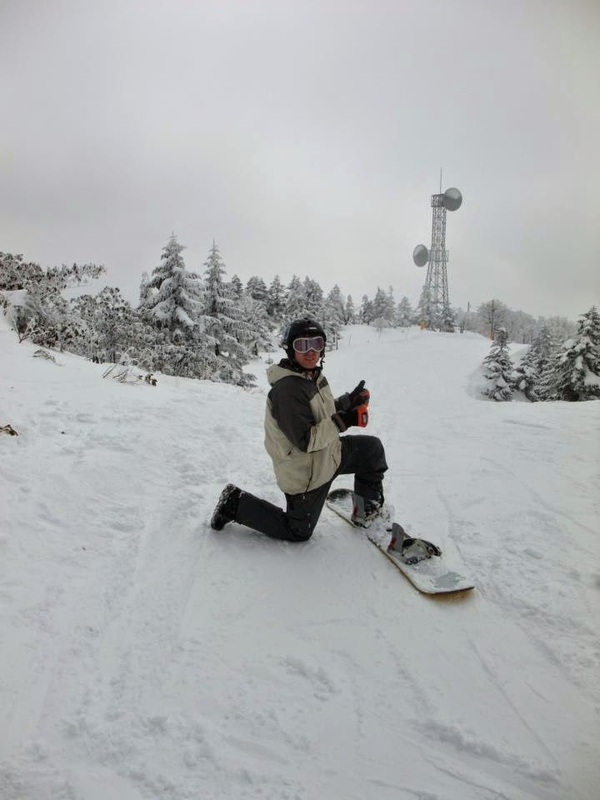 So whether you’re a powderhound who’s sick of having to share the slopes of Hakuba and Niseko with a million other foreigners, or a local in the Kanto area who is just looking to get in a bit of skiing, next time you think skiing or snowboarding, think Fukushima, and its unspoiled snowsports paradises.